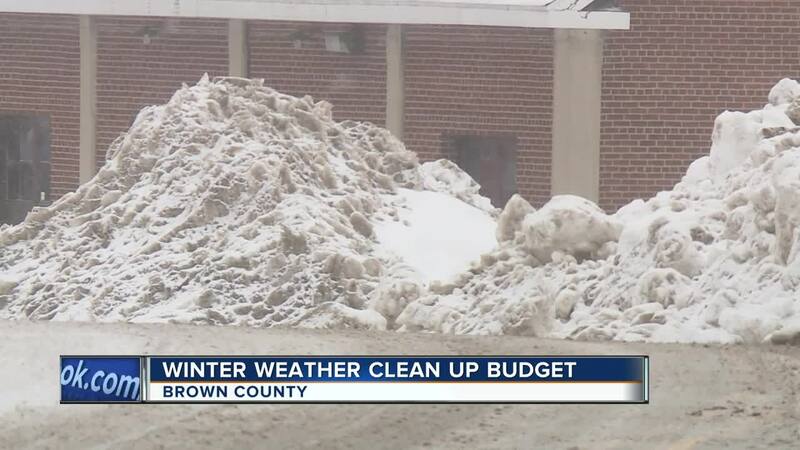 GREEN BAY, Wis. — Active winter weather is impacting Brown County’s budget. Public Works tells NBC26 that their budget runs on a calendar year, but winter comes in two parts: January to April and November to December. The money in that budget goes towards materials, equipment and labor. Public Works says this has been a long and hard winter, so any more of it will strain their budget. "For the county highways I need about a half-million for November and December,” says Brown County Public Works Director Paul Fontecchio. “And I’ve got half a million left right now, so if it stops snowing right now today, I’m good." Paul Fontecchio says if more snowstorms hit between now and April they may have to cut back and delay summer road projects. They'll also need to tap into a back-up account, which is essentially funded by gas taxes. Brown County Public Works says they're ready for this winter to wrap up.